Always & Forever are words to cherish, and this personalised art print makes the perfect gift to celebrate a unique love story. 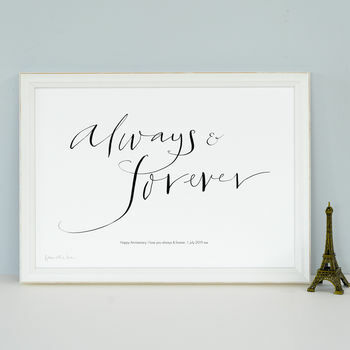 This personalised romantic art print with a sincere message of love perfectly captures the essence of old world romance. 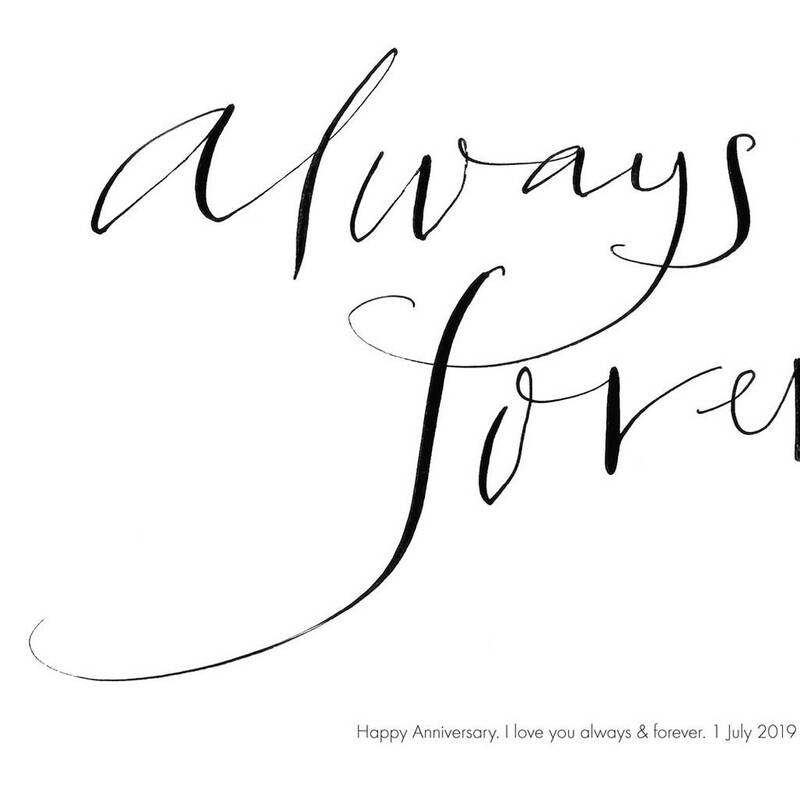 The first anniversary gift is paper, so this art print would make a thoughtful and one of a kind gift, which will be cherished for years to come. 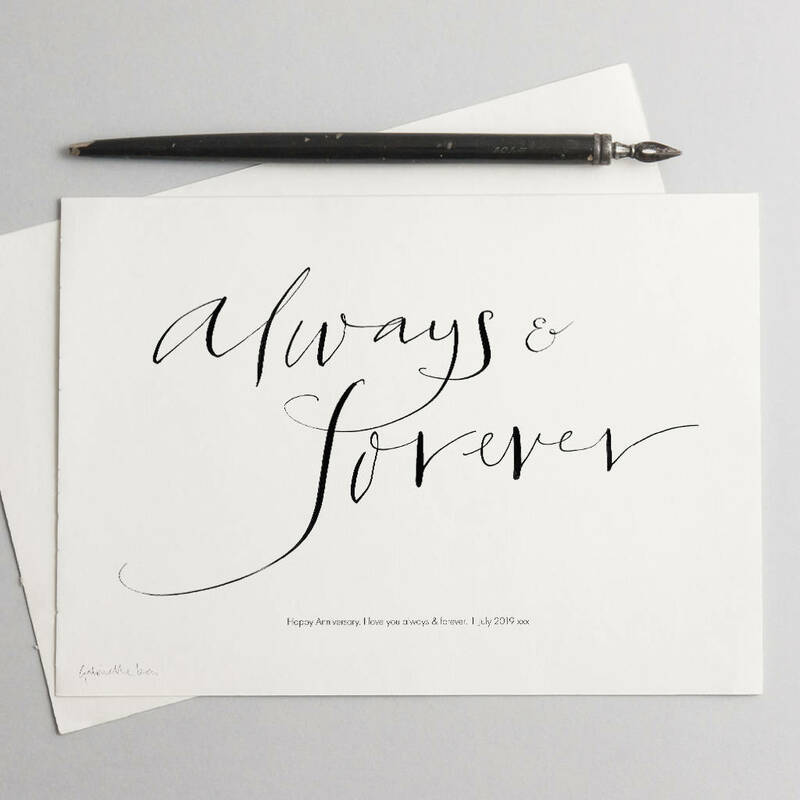 This Personalised Celebration Print ‘Always & Forever’ would make a thoughtful wedding gift, engagement gift or anniversary gift. It would also make a lovely Valentine's Day gift a very romantic Mother’s Day gift, a special occasion gift, Christmas gift or a birthday gift. This print is sold unframed and is sent free via Royal Mail Signed For service.